There are places that offer biodegradable cups AND free all-night Wifi? Sniffle... we knew this day would come. We have found the promised land. Ebenezers serves "coffee with a cause" -- all the coffee you'll find here is fair trade, straight from roaster Larry's Beans. 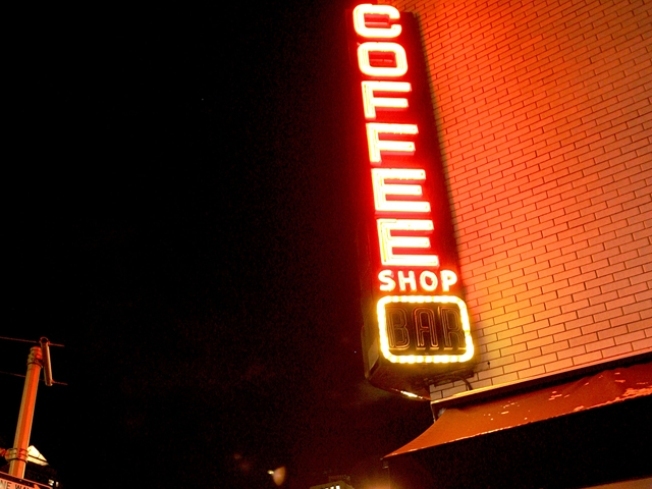 The coffeehouse, located in a 1908 diner, is owned and operated by National Community Church, and all profits go towards community outreach projects. Plus, they have crazy good coffee. Since opening last summer in Murky Coffee's former Eastern Market location, Peregrine has quickly rose to local stardom. Bright colors, a big downstairs space, and brioche and baked goods from Buzz bakery round out the picture. The iced espresso controversy of last summer had everyone talking, but coffee isn't just a job for the baristas here -- it's an attitude. (Seriously. Don't mess with these people.) Enjoy the artisanal foam swirls on the surface of your drink while you lounge on a 30-year-old couch. Bonus: Outdoor seating and four meter-less parking spaces in front. Soho's one of the few coffee shops you'll find that's open practically all night long (4 a.m. weeknights, 5 a.m. weekends). And the caffeine buzz you'll catch here will help to keep you awake… to stay here even longer. It's a vicious but delicious cycle. The WiFi's "free," but only with a $5 minimum purchase. Organic food, biodegradable containers and the award for "Best Vegetarian Food" from VegDC.com. What more could you ask for? Oh, yeah, fair-trade coffee beans. Despite the name, this spot does seem to have a more food-oriented focus.